The bow that puts you on a winning curve.The new stirrup design ensures an improved leg position. The changed weight ratio on these stirrups results in perfect balance and greater comfort for the rider. The widened tread is made out of two types of rubber properties and takes effect in shock absorbing grip.The internationally approved System 4 technology of these stirrups can support the release of the foot in case of an emergency. Flexible in 4 directions it softens the impact on the rider‘s cartilage and ligaments without creating an unstable feeling for the rider. 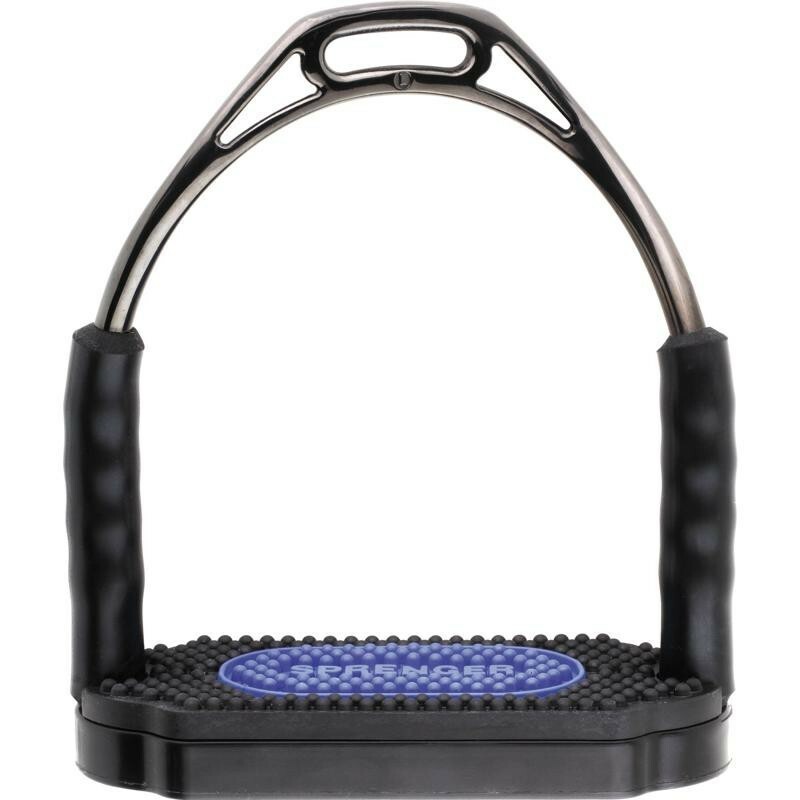 Bow Balance design provides easy “pick up“ upon mounting as they require very little effort on the rider’s part – a simple touch of the foot to the stirrup and it gently folds onto the rider’s foot.Bow Balance Stirrups – for a smart riding experience. My Wishlist You have no items in your shopping cart.